Every quilt has a story to tell; if you are quiet and listen, you will hear it. I am enjoying making these scrappy hexie blocks. Today I decided to dive into the red scraps and I managed to finish 5 red scrappy hexie blocks. 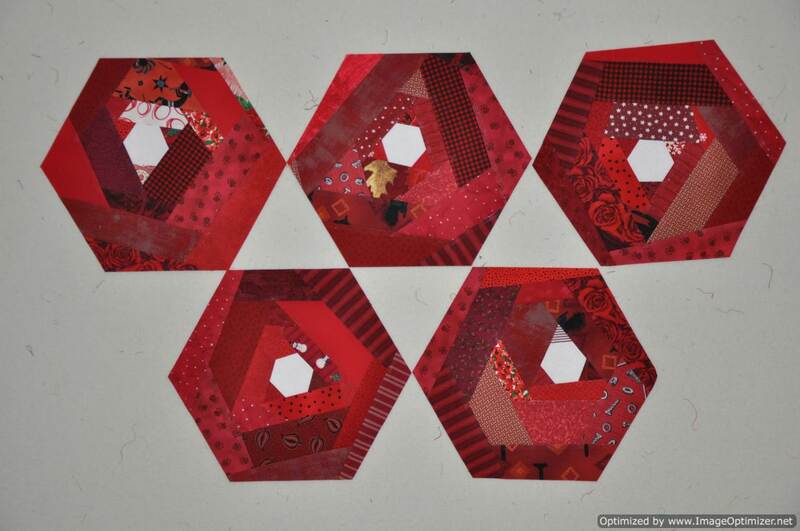 This entry was posted in scrap, scrappy hexies, string blocks, strings, strips by Norma Hanson. Bookmark the permalink.